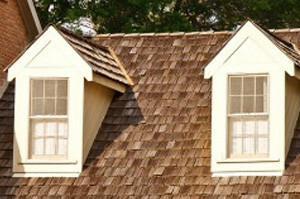 Shingled Roofing | Cedar Shake Roofing | Slate Tile RoofingNaperville Exteriors, Inc. is often deemed as the top roofing contractor for individuals across the Greater Chicago Metropolitan Area. At any time when it comes to roofing, every single one of our roofing contractors work to do everything possible to guarantee that your roof replacement is precisely what you ask for and at a fair and realistic price that will likely not surpass your available funds. Naperville Exteriors fully recognizes how tough it can be to track down the greatest roofers for your distinct roofing project. We are known for not only having the most extraordinary crew of roofing contractors, but our roofing materials and labor are going to enhance the exterior of your house in addition to increasing the total value of your property. Thus, anytime neighborhood friends in Westmont are interested in the most ideal new roofer for their roofing endeavor, the name they would want to bear in mind is Naperville Exteriors. Westmont, Illinois is a village located in DuPage County with nearly 24,600 individuals residing there. Naperville Exteriors, found in Lockport, and it’s conveniently placed almost 17.2 miles southwest of Westmont. On the occasion Westmont’ residents are looking for completely new roofing, they are likely to select the greatest in the marketplace – Naperville Exteriors. We are renowned for having the very best roofing products, very competitive pricing and exceptional services our Westmont’ customers are wanting. The fact is, as Chicagoland’s preferred authorized roofing contractor for more than 14 years, individuals in Westmont are aware that Naperville Exteriors never cuts corners or will take short cuts at their cost. Excellent design, attention to details and the well-being of our Westmont’ customers, their families, their residences and our team are paramount to our beliefs of presenting the absolute best products at the very best prices. Naperville Exteriors, Inc. is well-known for ensuring that you’ll certainly receive the most suitable roofing craftsmanship from our well-mannered and skillful roofing contractors. We not only have over 20 years of experience in the roofing industry, but Naperville Exteriors has had the same roofing team working alongside one another on roof replacement and other roofing endeavors for over a decade! At any time you work with Naperville Exteriors, you will be satisfied to uncover that you are working together with one of the most strongly proven and highly regarded roofing companies in the vicinity. On top of that, with customer satisfaction as our main concern, it should come as no big shock that not just will Naperville Exteriors attempt to fulfill your anticipations, but we will frequently go over and beyond them! For the sort of roofing contractors who are honest, efficient and well-mannered, Naperville Exteriors should be your destination. Phone us today at: (630) 254-4831 for your totally FREE quote for roofing services. We look forward to earning your business.